Xylitol toothpaste is a type of toothpaste that contains xylitol, a sugar alcohol sourced from birch trees and other types of hardwood trees and plants. Said to improve dental health, xylitol tastes sweet but unlike sugar, isn't converted in the mouth to acids that can promote tooth decay. Said to slow the growth of Streptococcus mutans (the bacteria most closely associated with tooth decay), xylitol toothpaste is often touted as a natural approach to cavity prevention. Xylitol is also used as an ingredient in dental care products like chewing gum, lozenges, tablets, and breath mints. The Research on Xylitol Toothpaste: Does It Work? In a 2015 report from the Cochrane Database of Systematic Reviews, for instance, scientists sized up 10 previously published studies (with a total of 5903 participants) on the use of xylitol to prevent cavities. 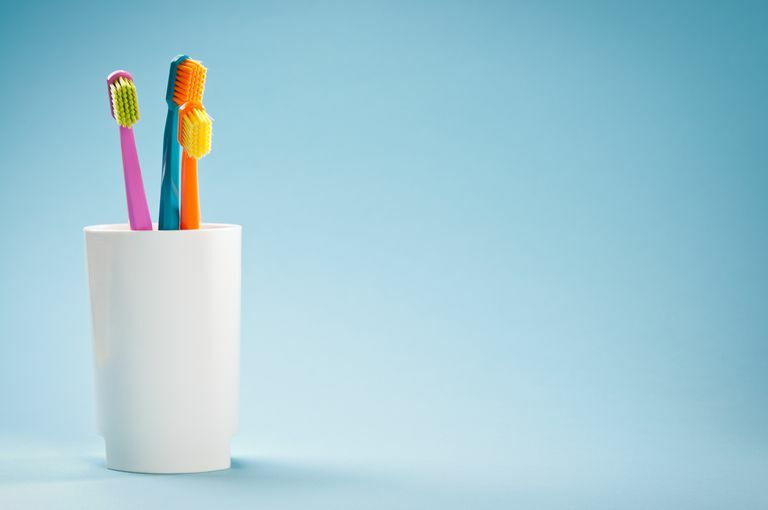 In their review, the report's authors found that over 2.5 to 3 years of use, a fluoride toothpaste containing 10 percent xylitol reduced cavities by 13 percent when compared to a fluoride-only toothpaste. The study authors noted, however, that the evidence was considered low quality and recommended large, well-designed clinical trials. A 2014 study from the Journal of Dentistry for Children assessed the effectiveness of xylitol toothpaste in preventing early childhood cavities and reducing streptococci mutans. For the study, 196 four- to five-year-old children brushed their teeth with either a fluoride toothpaste with 31 percent xylitol or standard fluoride toothpaste. After six months, the toothpaste with added xylitol wasn't found to be more effective than the standard fluoride toothpaste. Other research hasn't found xylitol toothpaste to be effective at reducing the growth of oral bacteria. For instance, a laboratory study published in the European Archives of Paediatric Dentistry in 2015 compared the effects of different types of toothpaste on the growth of Streptococcus mutans and Lactobacillus acidophilus. The researchers found that xylitol toothpaste did not significantly inhibit the growth of Streptococcus mutans or Lactobacillus acidophilus. Xylitol has been approved for safety by the U.S. Food and Drug Administration as a non-nutritive sweetener. Adverse effects that have been reported in studies include mouth sores, bloating, cramps, constipation, gas, loose stools, and diarrhea. The toothpaste shouldn't be ingested or left in the mouth without rinsing. It's important to note that xylitol toothpaste shouldn't be used as a substitute for standard care in the treatment of a dental condition (such as periodontitis). If you are considering trying a xylitol toothpaste, it's a good idea to consult your dentist first. Xylitol is extremely toxic to dogs. If your dog eats xylitol toothpaste, it is important to take the dog to a veterinarian immediately. Although it's too soon to tell whether xylitol toothpaste can significantly cut your risk of cavities, it's possible that xylitol products may be of some benefit when used in conjunction with standard measures to prevent cavities. For optimal dental health, the National Institutes of Health suggest brushing your teeth every day with a fluoride toothpaste, cleaning between your teeth every day with dental floss or another type of between-the-teeth cleaner, limiting your consumption of sugary foods, avoiding tobacco use and smoking, and seeing your dentist or oral health professional on a regular basis. There's also preliminary evidence that several foods may help protect against cavities. For instance, some research indicates that black tea and oolong tea can each help prevent tooth decay. And in a research review, scientists note that cranberry may help fight tooth decay by preventing bacteria from sticking to teeth. Chi DL, Tut O, Milgrom P. Cluster-randomized xylitol toothpaste trial for early childhood caries prevention. J Dent Child (Chic). 2014 Jan-Apr;81(1):27-32. Evans A, Leishman SJ, Walsh LJ, Seow WK. Inhibitory effects of children's toothpastes on Streptococcus mutans, Streptococcus sanguinis and Lactobacillus acidophilus. Eur Arch Paediatr Dent. 2015 Apr;16(2):219-26. Riley P, Moore D, Ahmed F, Sharif MO, Worthington HV. Xylitol-containing products for preventing dental caries in children and adults. Cochrane Database Syst Rev. 2015 Mar 26;(3):CD010743.